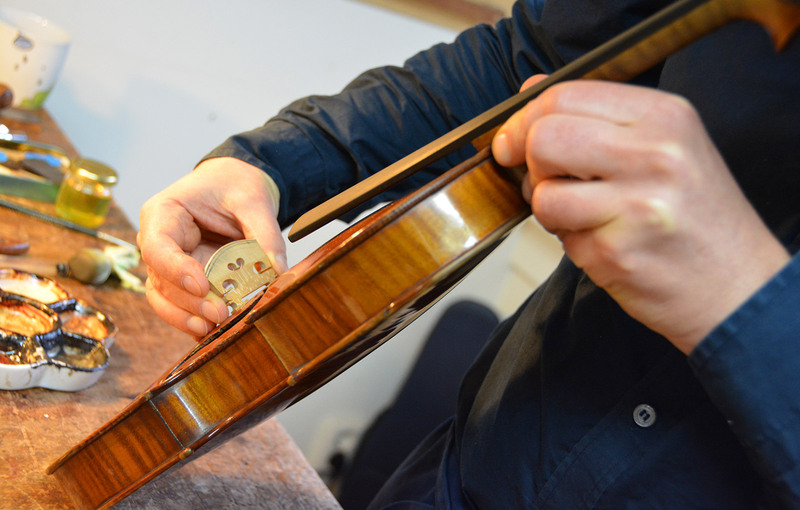 One of our core services is the repair and maintenance of stringed instruments. This is the area where most string players get very picky with who they choose to work with, and for good reason! As luthiers, we have the power to alter your instrument’s sound and playability, so it’s important for us to earn your trust in our abilities. Over the years, we’ve gotten very good at communicating with musicians to help determine exactly what sort of qualities they’re looking for in their violin, viola or cello, and we tailor our skills to deliver that plays and sounds exactly right! Soundproduction of a stringed instrument starts at the point where string and bowhair make contact. Both strings and bowhair should be in good condition to produce an optimal sound. With time, dirt and use hair loses it’s ability to move the string sufficiently. 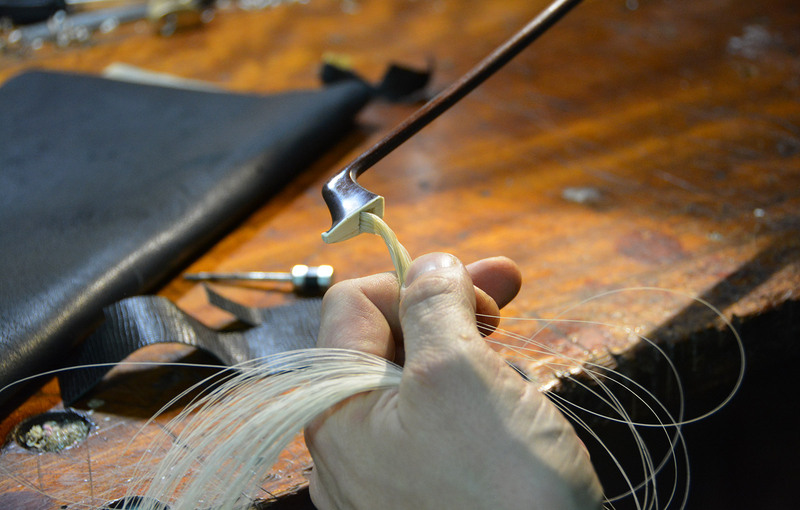 For your expert bow rehair Maas Vioolbouw is the right place in Amsterdam. Only the best Siberian and Mongolian horsehair is used for rehairs. Bring your bow on wednesday or thursday: pick it up the next day. 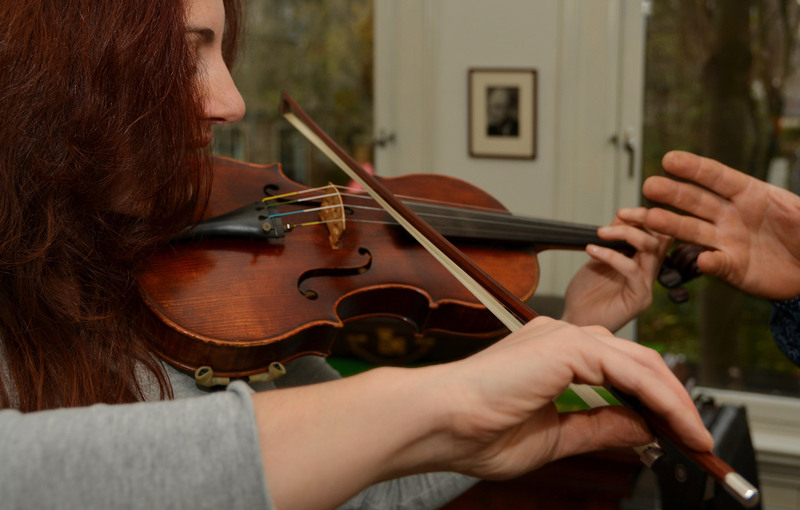 We also carry out small repairs and maintenance on violin, viola and cellobows. Maas Vioolbouw maintains a comprehensive inventory of strings, rosins, cases and accessories. We also sell high-grade replacement hardware for your violin, viola or cello that will make your instrument play and sound better than ever before! Nothing improves the voice of your instrument quite like the right new set of strings. Amongst others we stock the following brands: Thomastik, Pirastro, Larsen, Kaplan, Corelli, d’Addario, Millant, BAM, Hill, Wolf, Salchow. 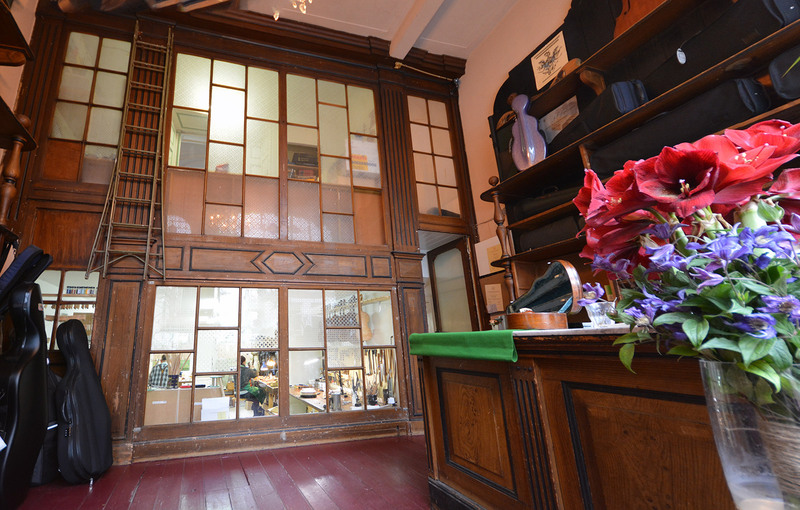 Open: Wednesday, Thursday & Friday 13.00 – 18.00, Saturday 13.00 -17.00 or by appointment. We all want to get the best sound out of our violin, viola or cello. But sometimes your instrument just doesn’t want to work the way you want it to. At Maas Vioolbouw we offer a possible solution: a sound adjustment session. The bridge, overall geometry, soundpost position and numerous other factors have an effect on sound intensity and quality. Together we will listen to your instrument when you play and perform small technical interventions to search for your ideal sound. Bas Maas has helped many musicians finetuning and optimizing their instrument. A broken neck, cracks in soundboard or back, soundpost cracks, worm damage, holes in ribs, Frankenstein incidents, even a box of parts, we get your instrument back in good playing condition. 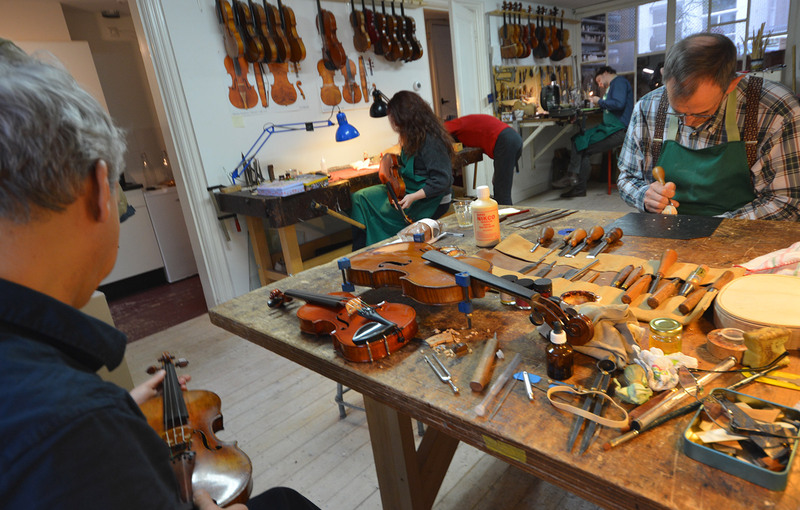 As violinmakers we have the knowledege and skill to restore your instrument to as original condition as possible. Acoustically as well as esthetically. Thanks to our training, drive and experience, we are able to deliver consistently outstanding results for our customers and ourown collection. Violin, viola and cello restoration is always a custom job. Please contact us for inspection of your instrument. Dendrochronoly, or the science of tree ring analysis is the technique with which the age of violin, viola and cellotops can be determined. Soundboards of most stringed instruments are made of fine spruce. The characteristics of spruce enables researchers to date the age of the wood. With this method claims of antiquity of stringed instrument can be tested flawlessly. Traditional expertise is largely based on stylistic features attributed to certain masters. Dendrochronoly is a highly valuable addition in the field of violin appraisal. Roberto Furnari carries out the dendrochronological research for Maas Vioolbouw and works on a “no date-no pay” basis. A written appraisal is needed to insure your musical instrument. 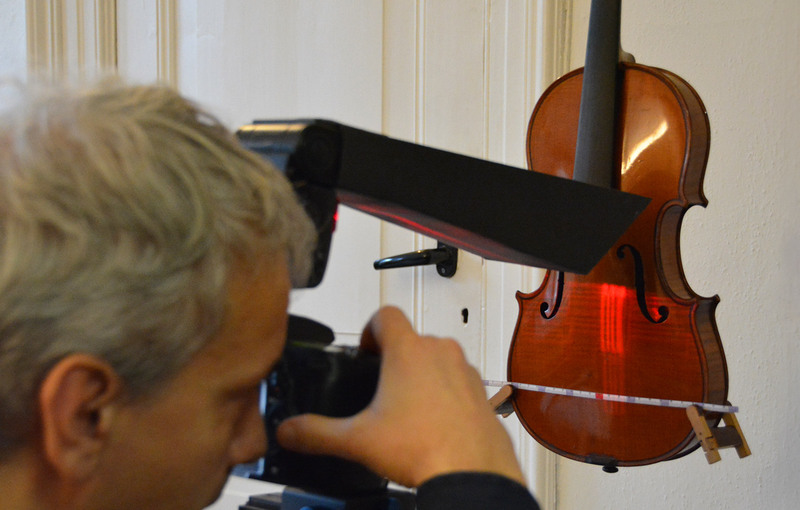 Having your violin, viola or cello valued is also usefull in case of an inheritance or when you are curious about the value of your possesion. 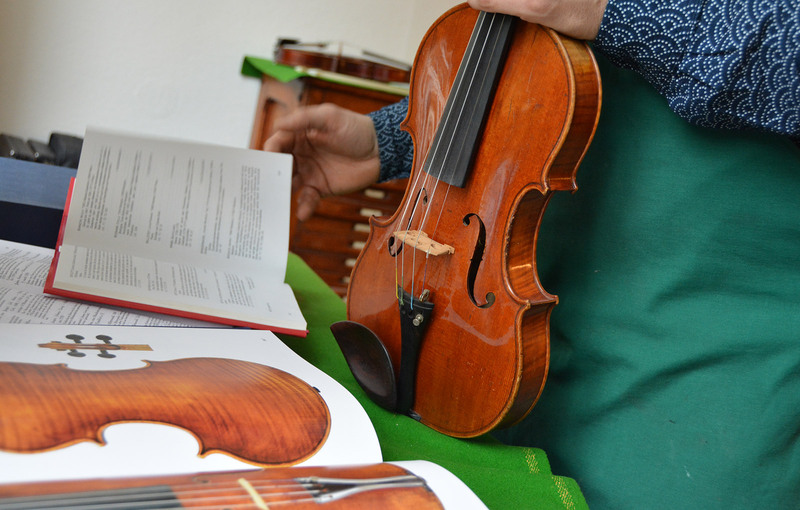 An examiniation of your instrument is carried out in our workshop, therefore you have to leave it with us. The valuation is based on characteristics in style, use of materials, condition and sound. Professional literature, historical transactions and auction results of similar instruments are the main resources for our valuation service. Over the years, we at Maas Vioolbouw have gotten to know many of the finest musician in the greater Amsterdam area. Of course, a sizable portion of our business comes from enthousiasts and students throughout the city as well. We consider it a privilege to act as an intermediary between these two groups to facilitate the ongoing transmission of musical knowledge. 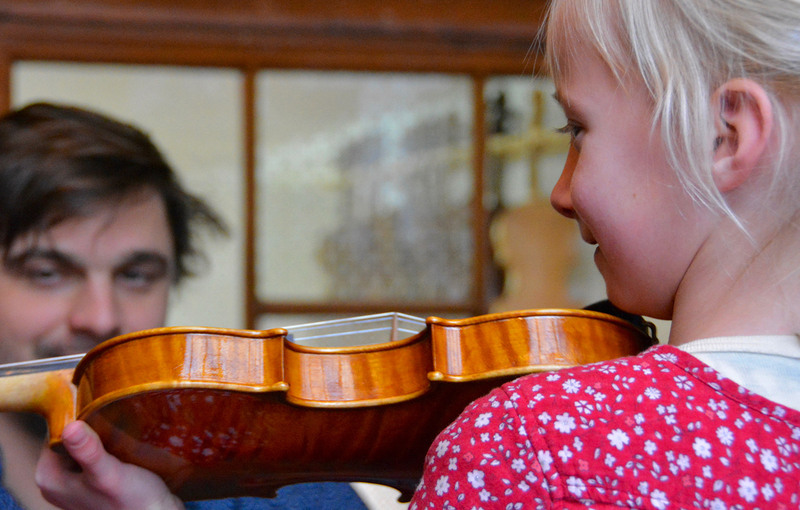 Below is a list of dedicated violin, viola and cello teachers and great schools who currently have space available in their studios for new students. Please do not hesitate to contact us if you want tob e listed as a teacher! An email if we have news?